[By Nick] Has it already been 6 months since my last review? Time really does fly. Between my son and the doughnut shop, time to formally write a review seems to slip away. That and I’m honestly pretty lazy. But hey, I’m here now and ready to try a brand that’s new to the site but not new to us. High Road has been on our radars for years. They’re a brand that touts themselves as a culinary inclined business as you can probably tell by their “made by chefs” tagline. Not to rain on anyone’s parades but most ice cream companies do rely on chefs to help curate their flavors. We haven’t been able to find them in our stores up North. Well up until recently when I stumbled upon a few of their flavors at my local Shop Rite. Of the four flavors I saw, this one was by far the most appealing to me. 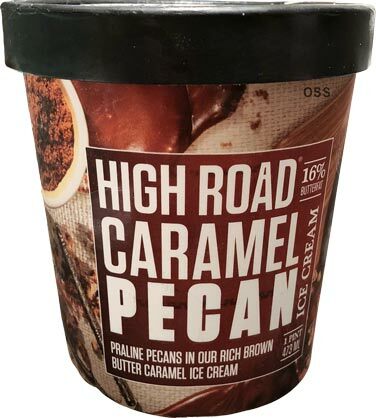 I mean, brown butter, caramel and praline pecans? What doesn’t sound good about that? Removing the lid, this one looks uneventful but it’s too be expected from something with a bunch of beige colored ingredients. Digging in, it’s not as creamy as I was expecting. It’s a dense ice cream for sure but it doesn’t quite have that smoothness I’d associate with a higher end brand. Not sure if I got a bum pint but the texture definitely isn’t on par with even the likes of Ben & Jerry’s. The flavor however is superb. First off, the brown butter caramel base is perfect. Buttery, sweet, salty and just all around wonderful on the taste buds. It’s been awhile since a base has made me this excited. 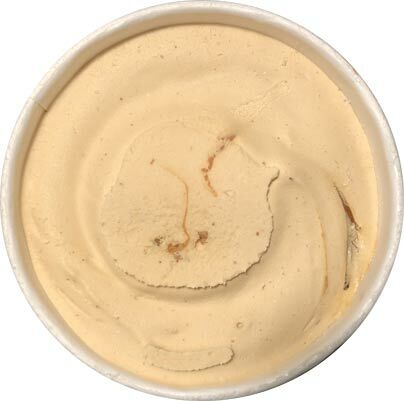 The caramel swirl enhances the buttery sweet tones in the base. It’s not all that gooey or thick which is disappointing but the flavor does come across quite well. 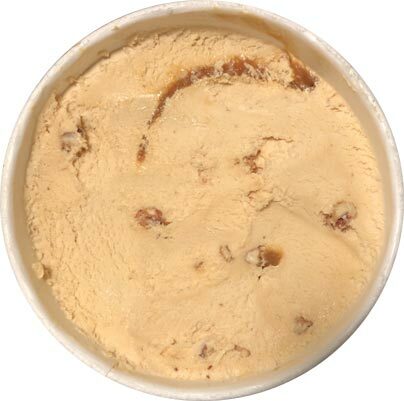 The praline pecans give the same taste profile as the base but adds a toasty nuttiness that brings this flavor all together. 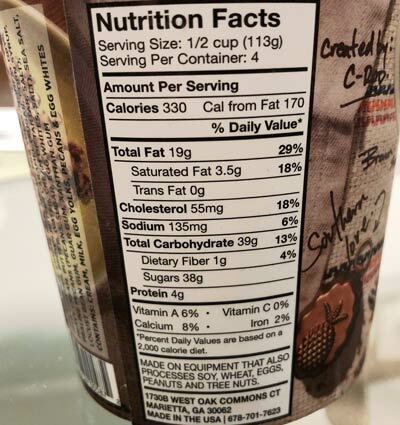 They’re prevalent as well which means you’re able to get a consistent bite with every spoonful. Could I tell this ice cream was “made by chefs”? 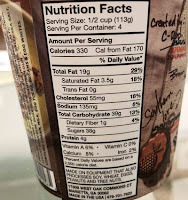 No but I can tell you that it was a well thought out flavor profile. Each component worked together to support and compliment the other. Nothing felt out of place or overpowering. The only real issue I had was the texture. It lacks any real rich, creaminess that I’d associate with a higher end brand. I’m hoping I got a bum pint and would be willing to try another flavor in the future. Verdict? Flavor is amazing, texture is not. Buy Again? I’d give them another try to see if the texture improves. 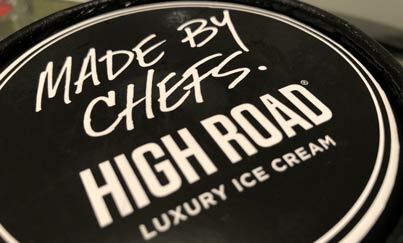 Dubba's Note: For those that have seen this brand before, did you notice that it's now High Road "Luxury" Ice Cream now instead of High Road "Craft" Ice Cream? New packaging is coming out in 2018 that will highlight the luxury part more. What are some of their other flavors? Nick also spied Vanilla fleur de sel, fresh mint chip, and cherry almond chip. Unfortunately their current website isn't really good about listing their other flavors... checking their facebook I see aztec chocolate, thai street coffee, lemon blueberry and bourbon burnt sugar. I got a coupon for a free pint of this brand. I tried the Cherry Almond Chip and I agree with Nick, the flavor was wonderful! But the texture definitely did not seem like premium quality. It almost seemed "light" to me. I was able to get another coupon and got the same flavor and I am assuming the texture will be the same. I probably wouldn't buy again unless there was a sale (they sell for $5.49 at my local Publix).